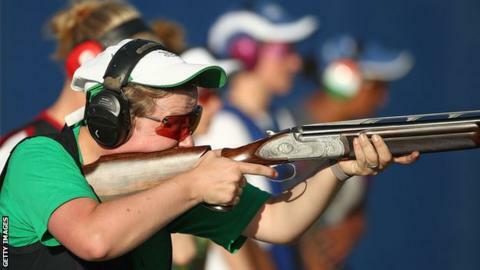 Kirsty Barr has won a bronze medal in the trap mixed pairs at the World Championships in South Korea. The Craigavon woman was competing alongside Great Britain team-mate Aaron Heading and they came in behind winners Slovakia and Russia. "It hasn't sunk in yet! We came through so much and it's fantastic to have won bronze," said Barr. Barr won silver medals at the Commonwealth Games and European Championships earlier this year. The GB duo missed out on a quota place for Tokyo 2020 with only the top two qualifying. Barr added: "Our attention now turns to the British Shooting Grand Final which is coming up in a couple of weeks, so it's time to get our heads back down and train for that."